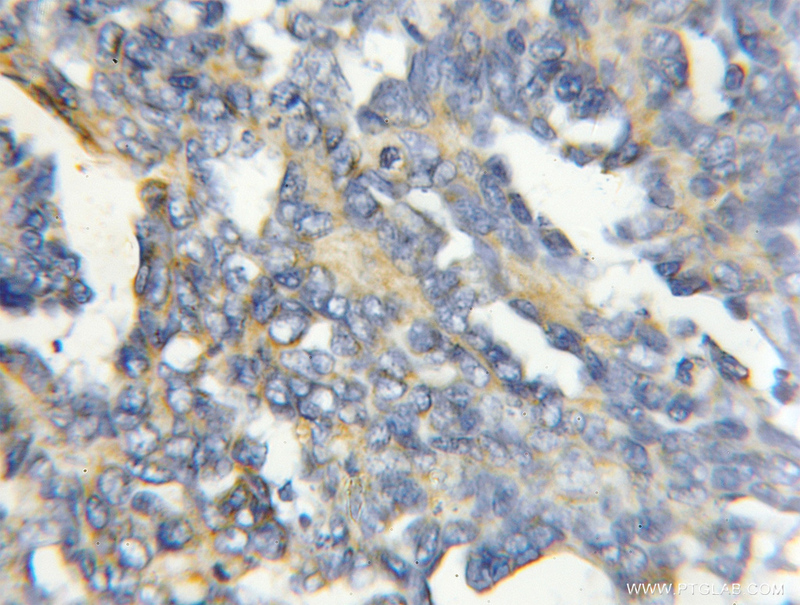 IP Result of anti-COX4I2 (IP:11463-1-AP, 3ug; Detection:11463-1-AP 1:1000) with HepG2 cells lysate 8000ug. 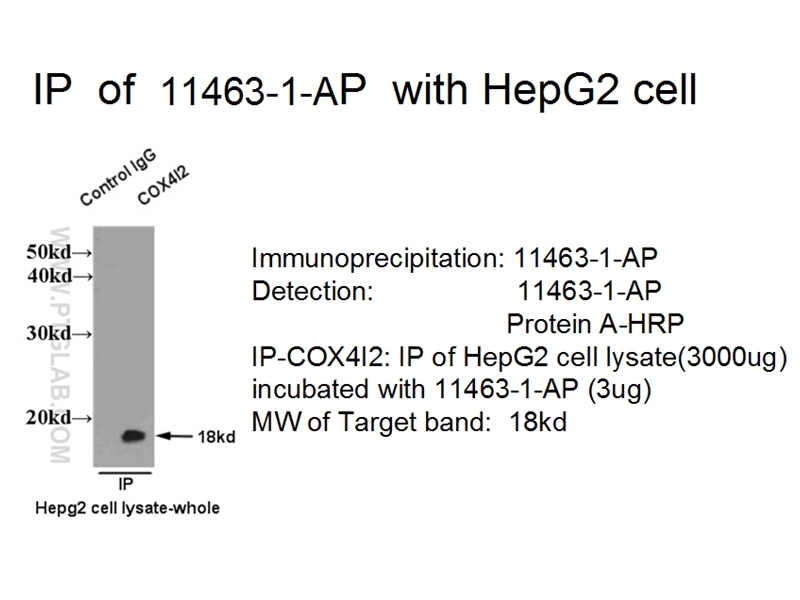 IP result of anti-COX4I2 (11463-1-AP for IP and Detection) with HepG2 cell lysate. 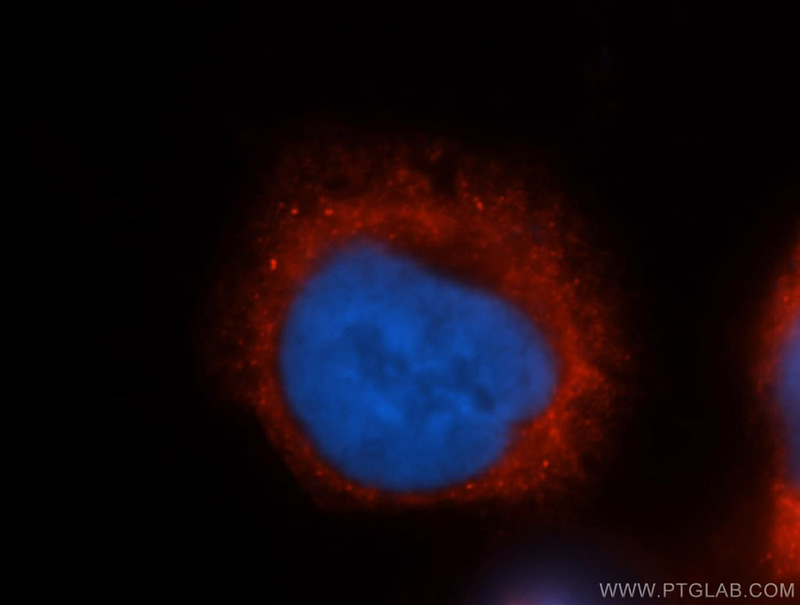 Immunofluorescent analysis of Hela cells, using COX4I2 antibody 11463-1-AP at 1:50 dilution and Rhodamine-labeled goat anti-rabbit IgG (red). Blue pseudocolor = DAPI (fluorescent DNA dye). 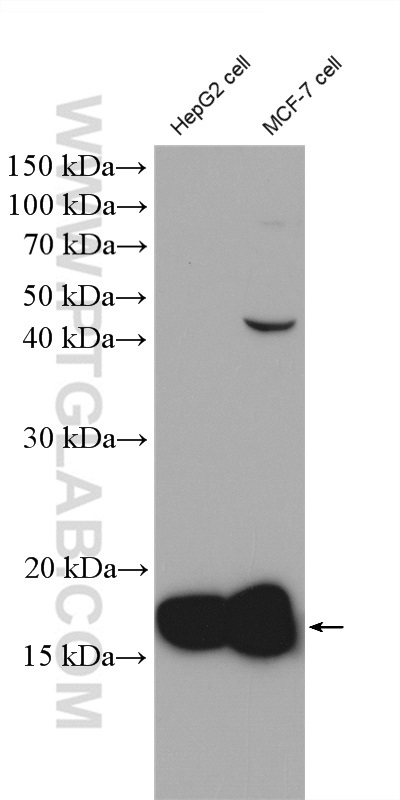 COX4I2, also named as COX4L2 and COXIV-2, belongs to the cytochrome c oxidase IV family. It is one of the nuclear-coded polypeptide chains of cytochrome c oxidase, the terminal oxidase in mitochondrial electron transport. COXIV(cytochrome c oxidase IV) has two isoforms (isoform 1 and 2). Isoform 1(COX4I1) is ubiquitously expressed and isoform 2 is highly expressed in lung tissues. 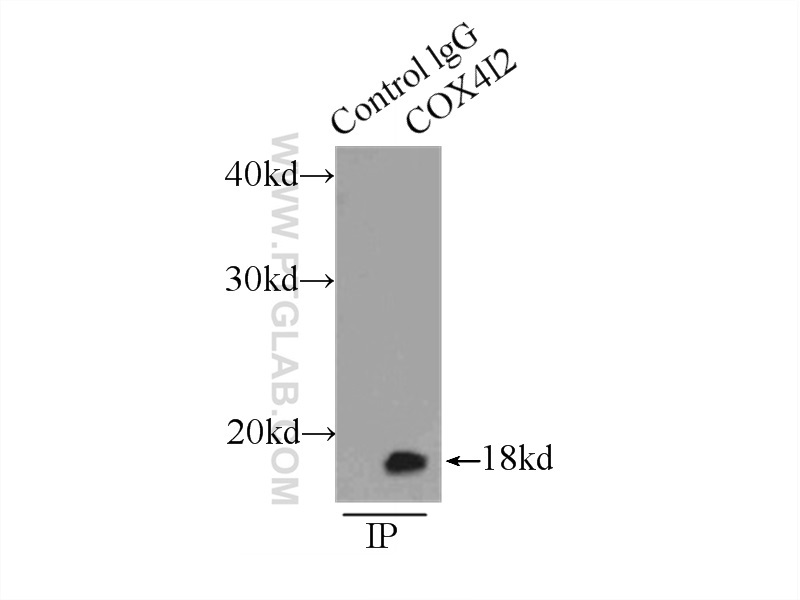 This antibody was generated against full length COX4I2 protein. Nuclear-encoded cytochrome c oxidase subunit 4 regulates BMI1 expression and determines proliferative capacity of high-grade gliomas. Repositioning chlorpromazine for treating chemoresistant glioma through the inhibition of cytochrome c oxidase bearing the COX4-1 regulatory subunit. Gene expression analyses reveal metabolic specifications in acute O2 -sensing chemoreceptor cells. Defective Mitochondrial Cardiolipin Remodeling Dampens HIF-1α Expression in Hypoxia. Mitochondrial dysfunction in preclinical genetic prion disease: A target for preventive treatment?